Francis Buckle was born at Port Patrick Scotland on 18 July 1836. In 1860, he married Catherine, daughter of Thomas and Kate Wiseman, in Sydney, and had five sons and four daughters. He died on 14 November 1909 at Glebe. His mother’s name was recorded as Margaret. His wife Catherine died at Glebe on 14 August 1922, aged 86 years. They are buried in the Rookwood Presbyterian Cemetery. After a Scottish education, Buckle joined the merchant navy at age 14 and went to sea. He arrived in Australia in 1851, serving on board the ship Gratitude. He left the merchant navy to go off to the goldfields at Forest Creek, Ovens and Bendigo. In Sydney Buckle became a timber merchant, lighter-man and steamboat proprietor of Erskine Street. From 1870, he was living at Dunskye House in Union Street. 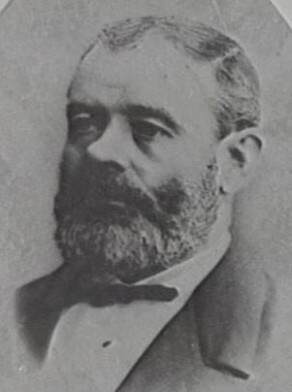 Buckle was elected unopposed as Alderman for Denison Ward in 1884 and 1888, serving from 1 December 1884 to 6 December 1900. He was a member of the Works Committee and the Garbage Disposal Committee, 1899-1900 and was a Council member at the Board of Water Supply and Sewerage, 1894-98.